Last year, London Department store Selfridges – my favourite department store in the world – launched the Bright Young Things initiative and it is set to return tomorrow. The project looks at highlighting some of the best and freshest fashion design talent in London and gives them a window each on the Duke Street side of the store to display their work as well as give them shop-floor space within three pop-up stores within the Oxford Street premises. It has been announced today that the second Bright Young Things initiative is supporting fifteen leaders in their field (see bottom) with four menswear designers; William Richard Green, Shaun Samson, Astrid Andersen and Alex Mattsson. I have picked out the menswear ones to take a closer look at and I am really pleased at the selection that has been made. 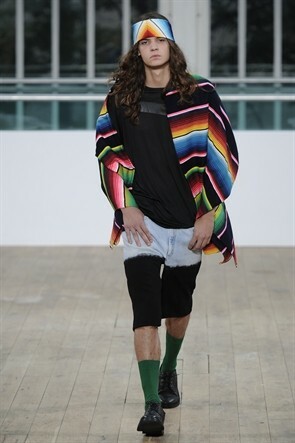 Not only because it includes one of my favourite designers, Shaun Samson, but it mixes sportswear, tailoring and heritage techniques together. 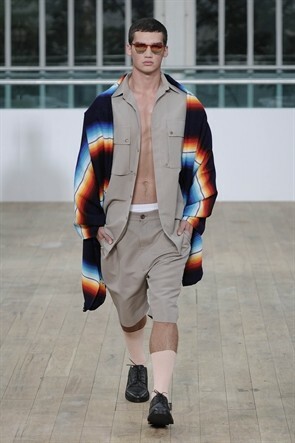 Astrid Andersen is a graduate of the prestigious Royal College of Art MA course in 2010, and was at the top of her class. In 2010 Astrid was a finalist in ITS NINE as well as being nominated as Talent 2010 by Italian Vogue and whilst studying at the Royal College of Art she also won the Brioni Creativity and Innovation Award and the River Island MA Student Bursary Award – all pretty incredible stuff, right? William Richard Green is the Birmingham born, London living designer that has already done three season’s at London Fashion Week. Green trained on Savile Row and at David David; this juxtaposition of experience gave him an insight into craftsmanship and cut mixed with the light, playful nature of a graphics-based street wear label. In 2009, he earned a degree from Central Saint Martins, where his talent and experience was widely acknowledged. I have been aware of William since his beginnings at London Fashion Week but have never been around to see his pieces up close. 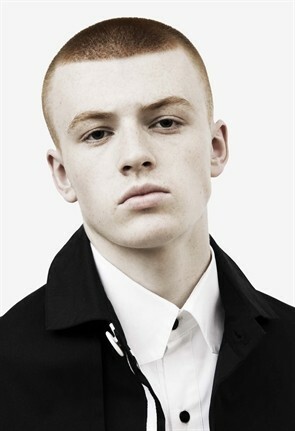 Shaun needs little introduction to menswear watchers as one of the hottest names in the industry at the moment. 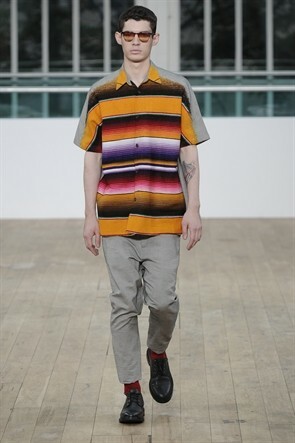 He made his name as one of producing one of the best menswear graduate collections for years in his MA show Central Saint Martins. The Californian born, London living Shaun maintained an industry presence and managed to work on four collections for Jeremy Scott throughout his degree. Pure genius! Born in Gothenburg and moving to the UK ten years later in 1994 to study BA Menswear at Rochester University, Alex was offered a place and completed his MA at the Royal College of Art in 2007, and his graduate collection in 2009 was a blow-away hit. 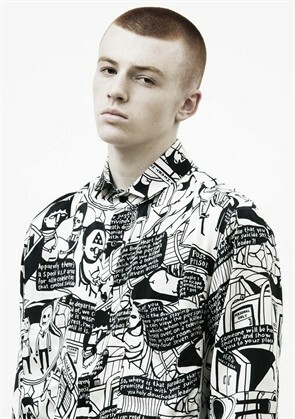 Expermiental and highly charged, his pieces have been seen in Dazed and Confused, Tank, Dazed Japan and Untitled Magazine. Be sure to look out for Alex’s window as is is bound to be something else. Going to try and see it this weekend!